Carversville Farm Foundation is a non-profit farm. Carversville Farm Foundation, a non-profit, produces fresh sustainable food specifically for donation to populations who lack access to a balanced diet; offers farm apprenticeships, workshops and facilitates information exchange; and nurtures organic farms through cooperative purchasing and other programs. Utilizing advanced sustainable farming methods, the farm works to provide these services while simultaneously regenerating the agro-ecosystem. We grow vegetables, hay, mushrooms, steers, chickens, turkeys and bees. Our livestock spend their days outside on pasture, often mixed together, ensuring that they always have access to green grass, fresh air and sunshine. We move them daily to evenly distribute their manure on the land to fertilize the soil and plants and reduce the risk of contaminating our streams. We provide our soil, animals and vegetables with balanced minerals in the soil that allow them to thrive and self-regulate. 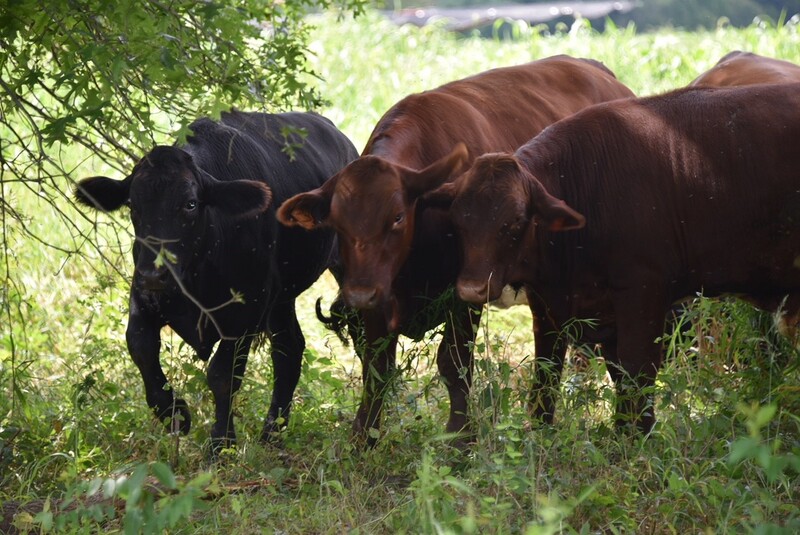 We maximize the diversity of plant species and integrate organic and regenerative practices, such as productive riparian buffers, woodlands and perennial pastures. Through our carefully planned management of the soil, plants, and animals on our farm, we can have a positive impact on the water cycle by reducing runoff and flooding while improving water quality and increasing groundwater recharge. Using compost, reduced tillage, plants, and grazing animals, we grow deep, living soil that acts like a sponge to soak up rain and grow more plants for people and animals to eat. By increasing our organic matter by just 1%, we can infiltrate over 25,000 additional gallons of water per acre! As a boy in South Philly, Tony always dreamed of living on a farm—and now he has one. In 2013, Carversville Farm Foundation became the realization of part of his dream…he doesn’t live there (yet), but he has a farm, and it does a lot of really good work. Tony has found a way to blend all the things he cares about—interesting work, targeted philanthropy, the environment and the well-being of his part of the world—in one place: Carversville Farm Foundation. Amy has been Tony’s partner, in business and at home for more than 28 years. She devotes her time at CFF to working with the staff to develop the “public” face of the farm. Projects include signage, website development, building design and renovation and product development—possibly her favorite job! Amy also works closely with Tony to continually test and hone their mission and add to the various types outreach CFF performs. Steven Tomlinson is a farmer focused on regenerative agriculture. He began farming in 2009 as an apprentice on various organic vegetable farms. From 2012 to 2016, he started and managed Great Road Farm in Skillman, NJ primarily working with growing for chefs for their partners restaurant Agricola in Princeton, NJ. Steven graduated from Pratt Institute with a degree in Industrial Design and has also completed a Permaculture Design Course. He co-authored a book titled Agricola Cookbook and enjoys the creative process of growing nutrient dense food. 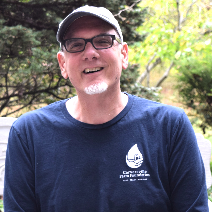 Steven is grateful to be a part of the Carversville Farm Foundation team as Farm Manager to grow for soup kitchens and food pantries. He currently resides in Doylestown, Pennsylvania. 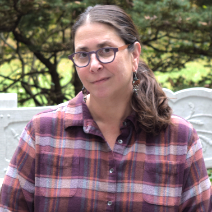 Stephanie has been the Farm Administrator at Carversville Farm Foundation since May 2014. 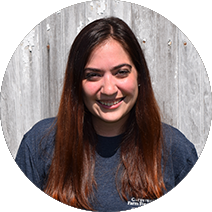 Steph graduated with a Communications degree from Millersville University; prior to CFF, she was in Marketing but switched to the farming world when this opportunity presented itself. Stephanie is involved in all aspects of CFF except the actual farming! She handles everything ranging from accounting to placing equipment or seed orders, onboarding new staff, vendor negotiations and more. While Stephanie has no farming experience, she has quickly embraced this world and is very proud to be a key founding member of the CFF team! 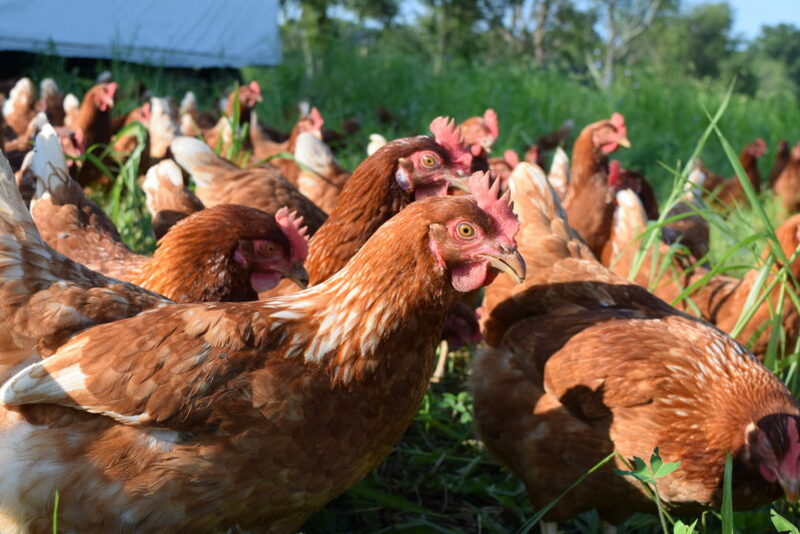 Craig has been livestock manager at CFF since July 2016, raising the farm’s animals using rotational grazing and other methods that are best for them, the land, and the people who will eat their eggs, milk and meat . Craig has combined a love of animal husbandry with a passion to teach, bringing an enhanced understanding of agriculture to professionals and the public. 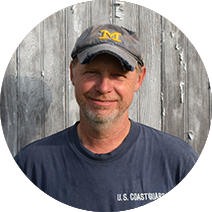 After earning a degree in American History at the University of Michigan, Craig returned to central New York to farm and teach at The Farmers Museum. He founded and ran Skate Creek Farm, where he developed his skills in modern grass-based, organic livestock production of poultry, swine, cattle, and small ruminants. He also founded the livestock program at Stone Barns Center for Food and Agriculture in Westchester County, NY in 2004. After a dozen years overseeing the multispecies livestock there, he became Director of the Center’s Growing Farmers Initiative. The lure of the animals and farming drew him back and he’s excited to be raising a diversity of healthy animals in tandem with a diverse and healthy ecosystem to help fulfill CFF’s mission. 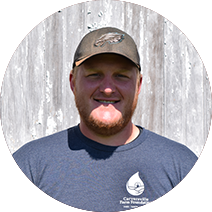 Phil is a livestock farmer from Northern New Jersey and joined the team at CFF in January 2019 as the Assistant Livestock Manager. 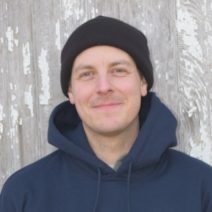 Phil’s first encounter with farming was in his home town in NJ in 2011 when he and his brother started their own small vegetable CSA (community supported agriculture) called Ralston Farm, which provided fresh produce to 25 families in Morris County. While at Ralston, Phil attended Connecticut College where he majored in anthropology, with a minor in botany. In college he completed a summer long internship with the livestock department at Stone Barns Center for Food and Agriculture. Phil returned to Stone Barns as an employee in 2016 and managed the waste-fed pig program, pastured egg layers, turkeys and ducks, while overseeing their state-inspected processing facility for poultry and red meat butchery. Phil loves to cook over open-fire for his friends, family and coworkers and roast the occasional whole pig or lamb for a party. He is excited to dive into the social aspects food security at CFF and provide organic produce to members of the population who have the greatest need for access to nutritious food. Farming since 2010, James earned his B.S. in Sustainable Living from Maharishi University of Management, with a focus on applied soil microbiology and permaculture design. He has extensive experience growing mixed vegetables, mushrooms, and medicinal herbs. 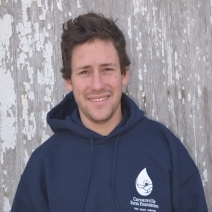 James is passionate about the soil food web, and has developed expertise in making aerated compost and compost teas. James also serves as our on farm mentor for our apprentices and interns. 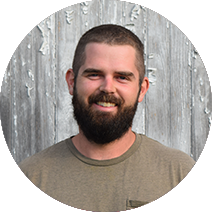 Originally from Bucks County, Sam began his farming career in central Virginia in 2010. After two growing seasons, Sam became the Farm Manager for Project GROWS, a youth oriented, educational non-profit farm from 2012-2016. With hopes of getting back to his roots in Bucks County, Sam left VA to manage the Riverpark Farm in New York City. There he cultivated a unique set of production skills involving high quality, chef inspired produce. 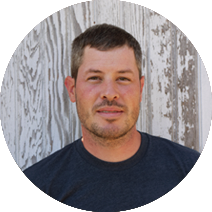 Over the years he has not only matured into a strong farmer but has developed a passion for teaching and growing a vibrant, healthy, and sustainable generation of young farmers and community builders. Kyle grew up a few miles outside of Lambertville, NJ on his family's dairy farm, which has been in the family since the 1700's. Kyle studied Agricultural Systems Management with a minor in Off Road Power Equipment at Penn State. In 2012, he started working for Case New Holland in the product validation/research and development, where he learned a ton about modern large scale agriculture and the Ag equipment industry. In March 2016 Kyle started working at CFF, giving him a chance to move back into the area and do something he enjoys. 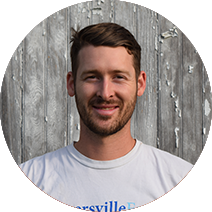 When he’s not at CFF, Kyle is at home working hard to improve his family farm. Brian (and Benny, his lab/dachshund buddy) spend their days keeping the CFF landscape trimmed and beautiful. Brian attended Rutgers University and received a degree in golf turf management. He spent 15 years practicing his craft, but now he’s learning a whole new way to keep things snazzy... CFF-style! Brian also helped build our custom animal shelters, Goat Force One and U.S.S. Gobbler, and Benny takes killing any rodents very seriously. Brian and Benny are always happy to lend a hand wherever needed, and we need them a lot! CFF is now selling eggs at the Lumberville General Store. Meet Phil, our new Assistant Livestock Manager. Happy New Year from CFF! Only 26 days until Thanksgiving! Did you order your turkey yet? Carversville Farm Foundation is always seeking hard-working, community and conservation-minded individuals. Earn a living wage, serve both your community and the environment, and develop sustainable farming skills and conservation techniques.